This year’s SuperCat Fest at LOTO brought had a significant importance as a wonderful group of powerboaters united to raise money to help Derek fight his cancer battle. Derek is the guy who is humble, never going to ask for anything and always ready to help everyone. 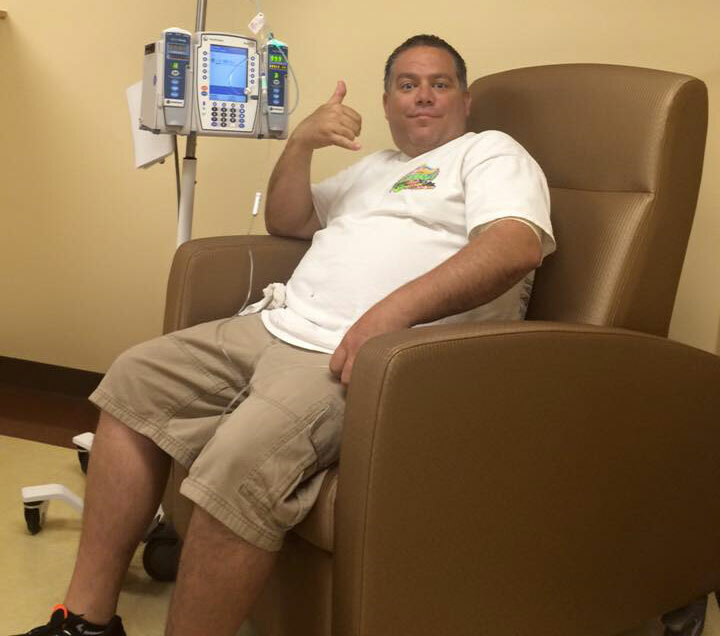 When his cancer first hit him he kept it to himself and was ready to battle with what he had. A much larger arsenal of treatment was available but not attainable to him. His quiet determined approach was soon discovered by the likes of John Woodruff, Kenny Armstrong, Randy Sweers, Neil Wobbe and many, many others. With strong efforts from John Woodruff treatment was moved to the Mayo Clinic and some badly needed funding was immediately injected into the effort. But the battle had begun and more was needed. During the LOTO SuperCat Fest a charity auction was organized and from outstanding efforts from the organizers, attendees and generous bidders, nearly $80,000.00 was raised in a single evening! Another incredible demonstration of the true caring and generosity of our Powerboating World. With over 20 auction items remaining we are having a silent auction here on PBN. The items will be posted and you must bid online. The winner will be notified and given payment instructions, upon receipt of payment the items will be delivered to you. Thank You again to everyone who was so kind and supportive of the efforts to help Dereck WIN his cancer battle! Check out the forum thread for more information on the silent auction! PBN TECH TV Product Spotlight: Hardin Marine's Sea Strainers Save Your Engine! Derek McCormick is Cancer Free!